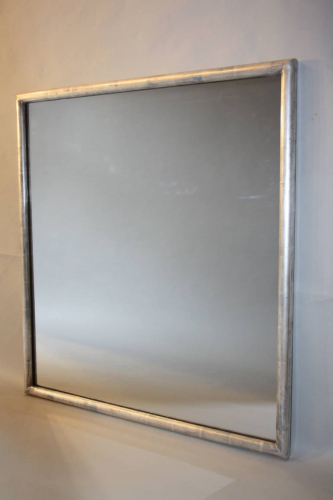 A good size pair of ilver gilt mirrors with old mercury glass mirror plates and C20th. Under the silver gilt is a mid blue colour - see images. Can be hung portrait or landscape.